In the summer, when strawberries go on sale, I’m always looking for new easy strawberry desserts so I can stock up on the sweet berries for less without letting them all go to waste. After all, even though strawberries are sweet, juicy and delicious, you can only eat so many before you start to want something else. 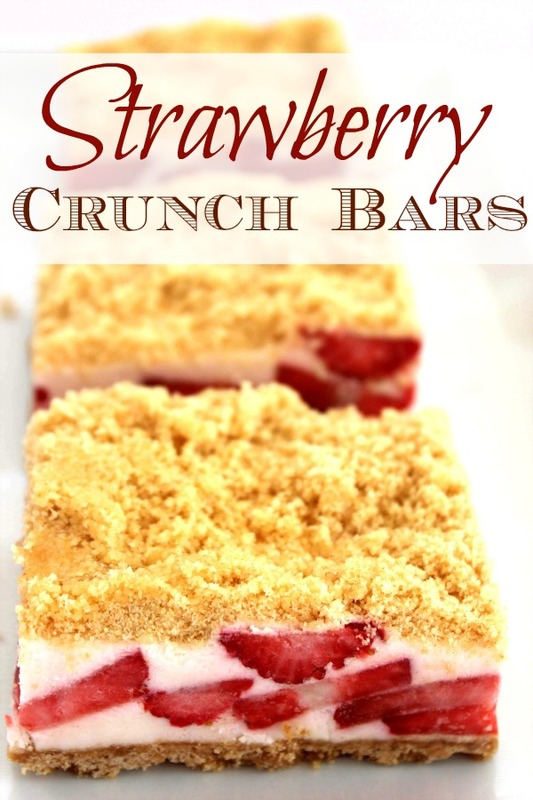 When that happens, I have the perfect solution: Strawberry Crunch Bars. 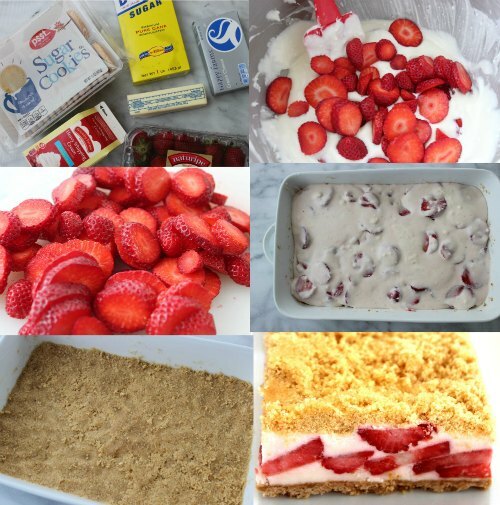 Strawberry Crunch Bars have everything you could want out of a sweet summertime treat. They are sweet and light, yet chewy and satisfying. They contain all familiar ingredients so you don’t have to worry too much about what is in them, but they don’t taste like boring health food either. In fact, you could probably even get away with enjoying this strawberry dessert recipe for breakfast. I won’t tell! Whether you are making a snack for yourself or feeding a crowd, this strawberry dessert recipe is very adaptable. If you need to make it ahead of time or even make it in several batches, you can simply place them all in the freezer until just before you’re ready to serve. You won’t have to worry about the strawberries getting soft and mushy like you would with other easy strawberry desserts. Made with sugar cookies, cream cheese, heavy cream and strawberries, this is one strawberry dessert recipe you’ll want to make again and again! Try them today!